Down through the ages exceptional elite leaders have been referred to with the suffix, the great. Cyrus the Great of Persia, Alexander the Great of Macedonia, and perhaps Alaric the Great of the Visigoths who sacked Rome or Peter the Great of Russia. 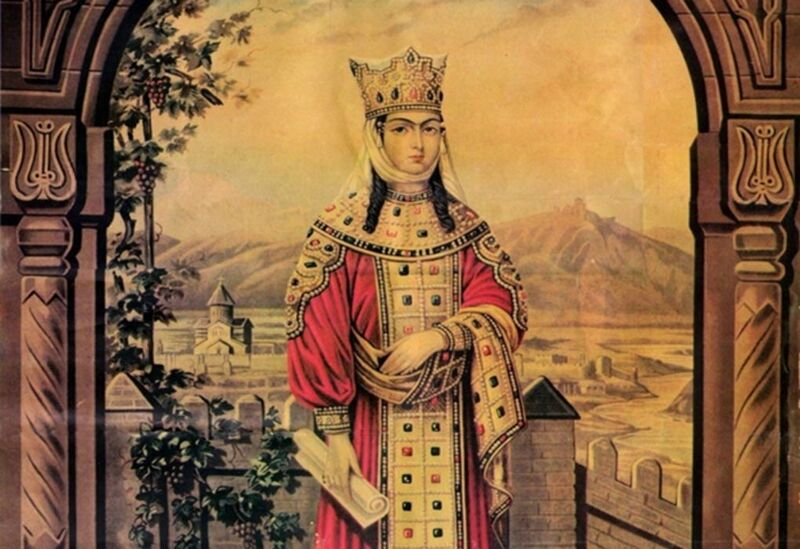 Who was the first woman ruler to be referred too as "the Great"? Perhaps Hatshepsut of Egypt 1478-1458 B.C. (18th Dynasty) might fit the bill, she is regarded as one of the most successful rulers of Egypt, with a reign lasting for at least twenty years. She expanded trade and undertook ambitious building projects. But I don't see her referred to as "Hatshepsut the Great" in literature. Powerful lords took advantage of the passing of the king to reassert themselves. Queen Tamar was forced to agree to a second coronation that emphasized the role of noble families in investing her with royal power....royal authority was significantly limited and the responsibilities of the royal council, dominated by the nobles, was expanded. In addition to protecting her own lands, Tamar also launched military campaigns to extend the borders of her kingdom. Apart from military success, Tamar’s reign also saw a flourishing in culture, as many remarkable monuments and works of literature were produced during this time. Georgia’s national epic, ‘The Knight in Panther’s Skin’ was produced during the reign of Tamar, and dedicated to the queen. This would basically come down to how we translate words from foreign languages, but scholars do translate the royal titles of a few ancient Egyptian ruling queens with the word “great,” and at least one has been called “The Great” by a modern historian. Hatshepsut, who ruled Egypt in the fifteenth century BCE, held the title usually translated Great Royal Wife before becoming regent and ruler in her own right (unlike the previous known female Pharaoh, who had been a Pharaoh’s daughter) and afterwards used several royal names, including Weseretkau (Mighty of Kas). Another ancient Egyptian ruler, much later, who used royal titles that have been translated “Great One,” “The Great Lady,” or “Goddess,” was the famous Cleopatra VII of the first century BCE. She is sometimes called “Cleopatra the Great” in modern sources. For example, one scholarly biography of her has the title, Cleopatra the Great: The Woman Behind the Legend, although she died in defeat with her kingdom conquered. She was admired enough in classical times that a later ruling queen in Syria, Zenobia, claimed descent from her. In between were several other female rulers renowned by ancient writers, including at least four Kandakes of Meroe. Was Theodoric the Great killed by Justinian?